Crystal radio set. Exhibit at the Ceredigion Museum‎. 1929. Brookmans Park Wireless Broadcasting Station. November 1936. Transmitting Station, Washford Cross. 1949. 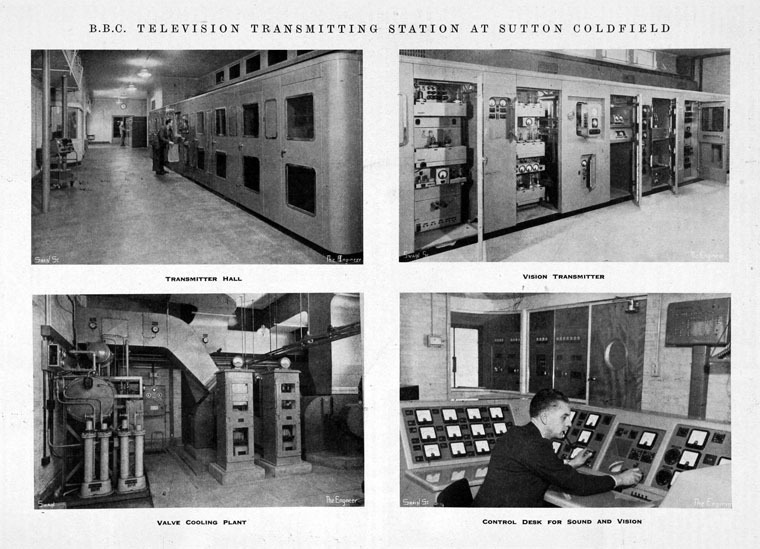 Transmitting Station at Sutton Coldfield. The British Broadcasting Corporation was the world's first national broadcasting organisation. 1922 14 February 1922, the Marconi Company was issued a licence for experimental transmissions under the call sign 2MT. Peter Eckersley was given charge of providing both the broadcast entertainment and the engineering. The station operated from a hut in a field at Writtle near Chelmsford. 1922 On 11 May, the Marconi Company was issued another licence for experimental broadcasts from a station identified as 2LO which was located at Marconi House in the Strand, London. 1922 On 16 May, Metropolitan Vickers Company commenced test broadcasting from its own station in Manchester identified as 2ZY. 1922 18 October: The Company was incorporated to establish a nationwide network of radio transmitters, many of which had originally been owned by member companies, from which the BBC was to provide a national broadcasting service. The BBC soon stepped up transmitter power, and also provided other programmes. New, more selective, wireless receivers were needed to pick up these signals, and the new stations broadcasting from the European mainland. 1927 1 January: The British Broadcasting Corporation was granted its first Royal Charter of incorporation. 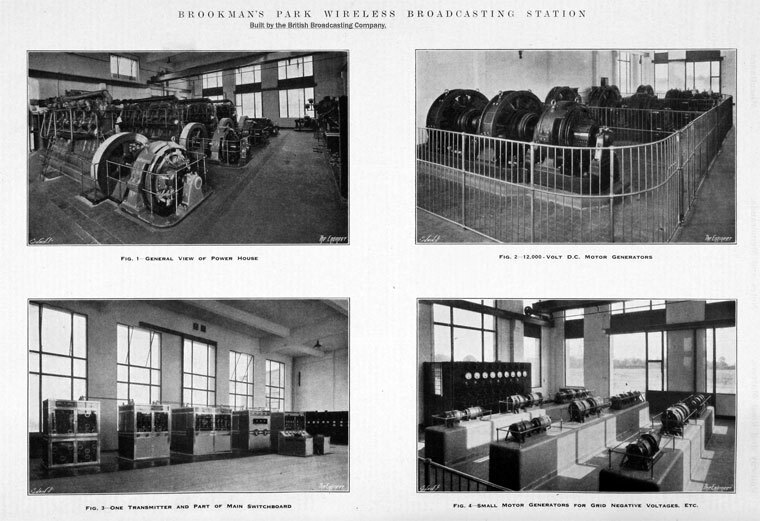 1929 The first dual transmitter high-power station opened at Brookman's Park, north of London. 1923 Captain P. P. Eckersley was appointed the Company's first Chief Engineer. At the end of the year Captain A. G. D. West was appointed Assistant Chief Engineer (Development). Development Section was housed in a room adjacent to the Control Room at Savoy Hill, with a Research Section in a room adjacent to the Control Room on the other side. 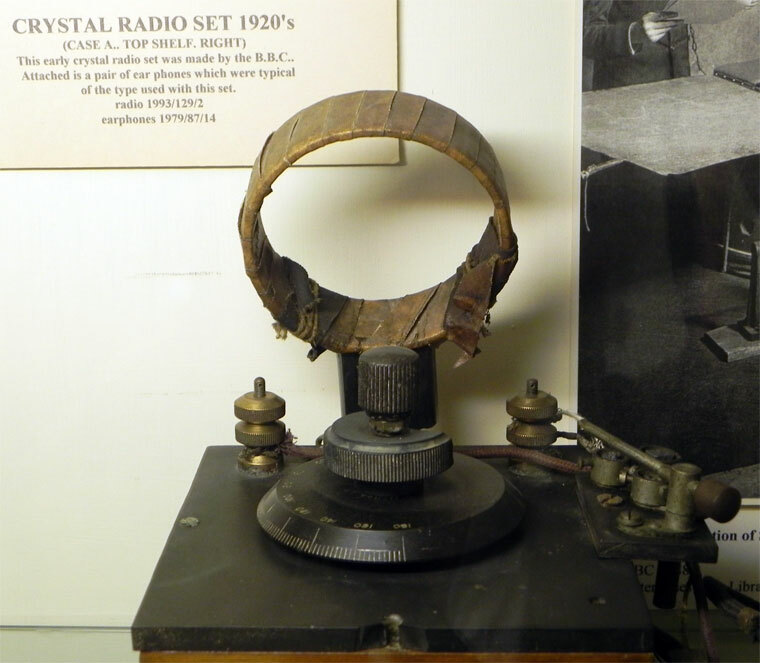 Equipment such as amplifiers were provided by Marconi or Western Electric. 1924 H. L. Kirke became senior Development Engineer; Captain West was made Assistant Chief Engineer (Research) - the BBC's first research engineer. 1927 the Research and Development Sections moved from at Savoy Hill to Avenue House, Clapham, South London. After problems with equipment for transmitting signals through cables, a small Designs Section was formed. There was little commercial equipment available which met the standards required by the BBC and components such as transformers, volume controls and resistors were designed and manufactured within Equipment Dept. 1930 The Development Section was re-named Research Department in Avenue House, Clapham. Kirke was appointed Senior Research Engineer and he kept this position until 1950. Also at Savoy Hill was a section which was responsible for the design of transmitters and power supplies, mains supplies, batteries and charging equipment for all BBC premises (all studio and control room equipment operated from batteries until 1936). 1936 Research moved to Nightingale Square, Balham. WWII Many of the staff of Research Department were evacuated to Bagley Croft. 1947 Designs Department was set up to give impetus to the re-equipping of Radio and the re-opening of the television service after the war. 1949 Research Department moved to Kingswood Warren. In the following years:, developments included conversion of the 405-line service to 625 lines, the launch of colour, film and video tape recording, telecine and caption generation, transmission of television by radio links, transatlantic cable and satellite, teletext and the BBC Microcomputer. 1988 Designs Department merged with Equipment Department to form Designs & Equipment Department at Avenue House, Chiswick. This later slimmed to Design Group as the manufacturing process was outsourced. This page was last edited on 19 May 2016, at 17:13.